This campus and community celebration will feature dinner, music, poetry and art. The cost is $20 per person, $12 for children 12 and under, and reservations must be made by Jan. 27. To register, call 570-321-4134 or visit https://lycoming.thankyou4caring.org/9th-annual-black-history-month-dinner. Sweeting graduated from Penn State University with a bachelor’s in religious studies and English in 2009 and earned a master’s in evangelism and church planting at Liberty Theological Seminary in 2011. He has been a coach and mentor for teens, a youth pastor and in 2013, he was elected to the Williamsport Area School District board of directors. 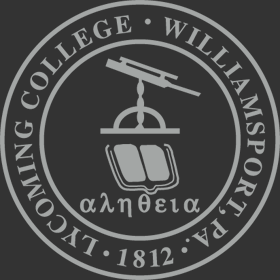 “Growing up in Williamsport, I’ve always thought of Lycoming College as one of the elite organizations in the community, and knowing many members of the student body, faculty and staff, I think there is a tremendous amount of talent and potential assembled on this campus,” Sweeting said. “To have the opportunity to speak to the Lycoming College family and, hopefully, encourage us all to become more active in helping Williamsport flourish as a community is very special to me. Sweeting lives in Williamsport with his wife, Beth, and their three daughters. He also is an avid musician and leads the popular local classic rock-soul group “Spencer and the T-Bones,” which formed in 2009 and regularly performs at the Community Theatre League.